Aratt Requizza, A seamless amalgamation of luxury, comfort and style blend to provide a truly sophisticated lifestyle. These Residential Apartments in Bangalore are beautifully planned keeping in mind the architecture which can soothe your senses whenever you step into your house after a tiring day from work. Aratt Requizza by Aratt Builder in Electronic City Phase I strives for customer satisfaction and believes in building world-class projects without compromising on quality standards, innovation and timely delivery. With well-ventilated apartments and uncluttered nature space, Aratt Requizza makes you feel that every day is an excursion. Aratt Requizza is one of the best investments in Residential properties in Electronic City Phase I, Bangalore. The Apartments in Aratt Requizza are strategically constructed keeping in mind excellent connectivity of public transport. 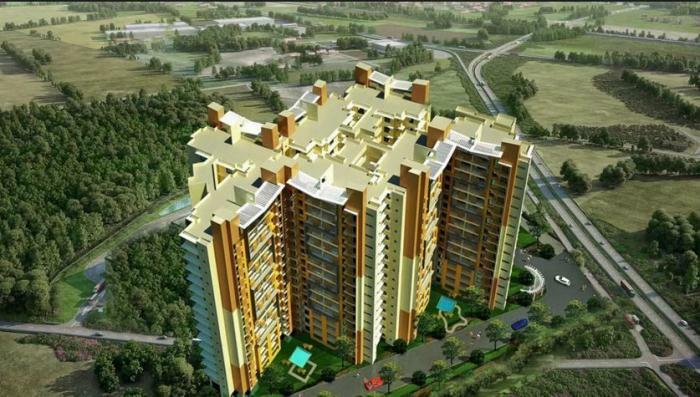 Aratt Requizza presents 2 BHK and 3 BHK Apartments in Bangalore. The price of Apartments at Electronic City Phase I in Aratt Requizza is well suited for the ones looking to invest in property at Bangalore. Amenities: Aratt Requizza has been designed such that it includes all the world-class amenities such as Indoor Games, Swimming Pool, Gymnasium, Play Area, Lift, Club House, Tennis Court, Badminton Court, Gas Pipeline, Jogging Track, 24Hr Backup Electricity, Squash Court, Table Tennis, Multi-purpose Hall, Snooker, Security, Barbecue, Carrom Board and Chess. Location Advantage: Aratt Requizza is conveniently located at Electronic City Phase I to provide unmatched connectivity from all the important landmarks and places of everyday utility such as hospitals,schools,supermarts, parks,recreational centers etc. Location of this project offers decent life style and has access to Workplaces, Schools. But does not have access to Cafes, Star Hotels. etc. It has access to Schools like Treamis World School and Parks like Siddhidanta Tech Park and Super Markets like Megamart Stores and Malls like Coupon Mall and Workplaces like Centre for Development of Advanced Computing This location is recommended for people who have 24x7 help for daily needs. Basement, Ground 14 floors in RCC structure with aluminum form work system from Kumkang Kind, Korea. Car park in the basement. Provision for Mechanical double parking. Superior quality 800 x 800 vitrified tile for flooring and skirting. Main door frame shall be in Teak wood and shutter shall be veneer finished. Sliding doors from Living to Balcony shall be in Aluminum sections. All sections shall be Powder Coated. Superior quality wooden flooring and skirting. Sliding doors from Bedroom 1 to Balcony shall be in Aluminum sections. All sections shall be Powder Coated. Bedroom door frame shall be in Teak wood with veneered polished shutters. Superior quality antiskid ceramic tile for flooring. Superior quality ceramic wall tiling upto false ceiling. Toilet door frame shall be in Teak wood with water proof molded panel shutter with veneer finish on bedroom facing side and enamel paint on rear side. Ventilators shall be in aluminum sections. All sections shall be Powder Coated. All Sanitary fixtures shall be from Cerra/ Parryware or equivalent. Chromium Platted Fittings shall be from Jaquar or equivalent. Provision for horizontal Geyser in all toilets. Superior quality ceramic tiling dado upto 2 feet from kitchen counter top. L shaped /parallel black granite kitchen platform. Stainless steel single bowl sink with drain board in kitchen and Stainless steel single bowl sink in utility. Superior quality Imported marble/ Granite for flooring and skirting. Superior quality Imported marble/ Granite for Treads & Risers. Total no.of 2 lifts fully automated from Raj Elevators or equivalent shall be provided for each block. All sanitary fixtures shall be from Cerra/Parryware or equivalent. All Plumbing fittings shall be from Jaquar or equivalent. Providing light point, Ceiling Fan point, Call Bell Point, UPS point, 5A & 15A Socket point, Distribution board in respective area. (Only point is provided, no fixture is included). Provision of exhaust fan in Toilets & Kitchen utility. Generator back up for all common areas. Continuous power back up with 1KVA power supply. Switches shall be from Anchor or equivalent. Review of Aratt Requizza, Electronic City? Its price, location, builder etc. Review of Aratt, Electronic City? construction quality, trustworthy, delivery history etc.? Review of Aratt Requizza, Electronic City location? neighbourhood, connectivity, schools etc.? Comparison of Aratt Requizza, Electronic City to nearby projects? Is it rightly priced? What is your feedback on this Aratt Requizza, Electronic City? Depends on brand name and complete the project in time etc? Will this be a better option for investment or to live in Aratt Requizza, Electronic City? Can you give some suggestion? Is the Aratt Requizza, Electronic City has more potential in terms of capital appreciation, ROI, Rentals, Proximity to social infrastructure etc?